Join us for a Happy Hour at Bryant Park. Why this date? This is the first Wednesday of the the annual International Accordions Around the World series event. 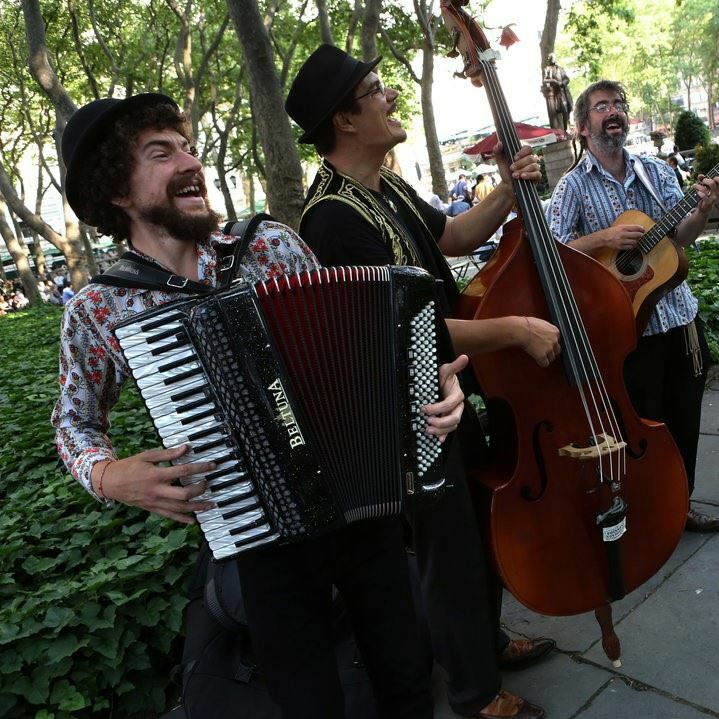 12 accordionists perform music from throughout the world at weekly accordion picnics, starting 5:30 pm. Enjoy the event at your own pace, we will get together around 7:00 pm at the Bryant Park Outdoor Cafe, right behind the New York Public Library.